According to a draft law should be allowed in the case of elections in the Ukraine in the future, no Russian observers. The OSCE has concerns. Experts vary between understanding and criticism and offer a solution. Ukraine fears that Russia could become representatives in the international observation missions in the presidential elections to interfere in the Ukraine on 31 March to take place. Kiev does not exclude that Russian observers could be in the Monitoring of the dispensing and counting of the votes is a “weak point”. 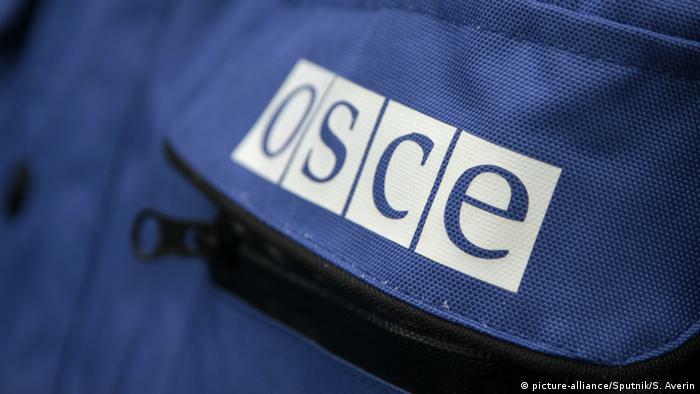 Therefore, the Parliament adopted on Thursday a law, the Russian citizens, says the participation in the planned election observation Mission of the organization for security and cooperation in Europe (OSCE). Thus, citizens of a country that has been determined by the Ukrainian Parliament as an “Aggressor state” are to be allowed, both in the presidential elections in the spring as well as in the parliamentary elections in the autumn in Ukraine not as an observer. As the Aggressor-state, Kiev has determined that because of the illegal annexation of the Crimean Peninsula and the war in the East of Ukraine alone, the Russian Federation. On 6. 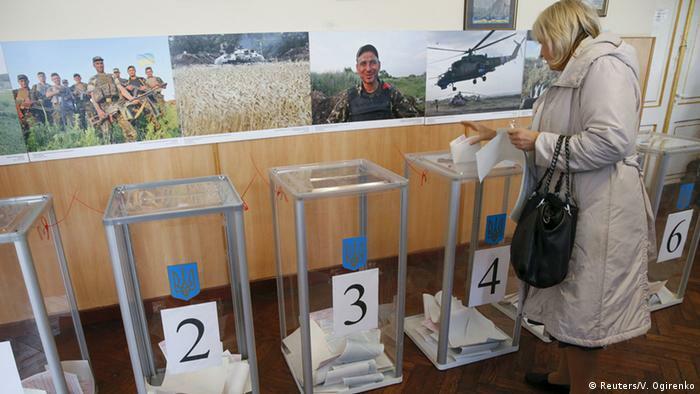 February, the Mission of the OSCE office for democratic institutions and human rights (ODIHR) has started work on observing the presidential elections in Ukraine. Thomas Rymer from the ODIHR, stated in terms of the adopted Ukrainian law to the DW: “We have concerns whether this is in line with the OSCE commitments on access for international observers to be compatible.” According to him, the OSCE will continue to follow developments around the Initiative. “As in every election observation mission, usual, will examine the Mission, whether the agreements relating to election observers, comply with both international and national, of the obligations to the OSCE,” said Rymer. Within the OSCE, there have been already cases where a state election, observers from other not have approved, said Peter Kleppe, from the Brussels Think Tank “Open Europe” of the DW. So the Turkey didn’t leave in the summer of 2018, respectively, a parliamentarian from Germany and Sweden into the country. “For Ukraine, this Option is not the best idea,” says the expert. According to him, concerns about the state of democracy in Ukraine from the international community. Therefore, the elections should be as transparent as possible. Roland Freudenstein from Brussels the Wilfried Martens centre for European studies does not mean that it is surprising that a state, the victim of the attack was one of its neighbouring countries, whose citizens wanted to exclude from the election observation. Joy stone is of the view that the OSCE should take into account the arguments of the Ukraine. “You can assume that the Russian is a secret talk services with any Russians who take part in such a Mission, before and after,” says Freudenstein. Also Florian Bieber from the centre for Southeast European studies of the University of Graz can understand that the Ukraine don’t want Russian election observers. Kiev have doubts as to their independence. In addition, they could not interfere, the Russians would not try, in the elections, he told DW. Bieber stressed that he could not imagine that in the 1990s, during the armed conflicts on the territory of the former Yugoslavia – Croatian representatives in the observation of elections in Serbia, and Vice versa, have participated. But at that time only a few observers to elections to come. He does not recall that there had been a discussion about their citizenship. Oleksandr Kljuschew from the civil society network OPORA, observed the elections in Ukraine, said the DW, on the one hand, the danger of Russian interference in the Ukrainian elections was in fact. But on the other hand, Ukraine is risking to lose the support of foreign countries, when citizens of certain States were excluded from observation missions. “For international institutions, notably the OSCE, this is a challenge, because other countries later on precedents professions can,” believes Kljuschew. The “voters Committee of Ukraine” is the view of Russian electoral observers should be specifically selected. The head of the NGO, Oleksij Koschel, proposes only to allow “Putin’s machinations in the case of elections to detect and for democratic elections to fight”. “We need obstacles against Putin’s propagandists, but not against Russian public figures, the fraud is really against choice, both in Russia and in the Ukraine,” said Koschel of the DW. According to him, Kiev could prevent, on the one hand, that Russian meddling intelligence agencies in the elections, and on the other hand, avoid that the international community of Ukraine accused of lack of transparency in the elections.